Amenities: This historic boutique hotel is nestled at the edge of a tree-lined lake. The entire hotel has been newly refurbished in updated Bohemian style. There are two lobbies filled with attractive furnishings and unique red twig chandeliers. A rustic brick walkway takes you through the interesting, art-filled lobbies. Conference and reception rooms are available. 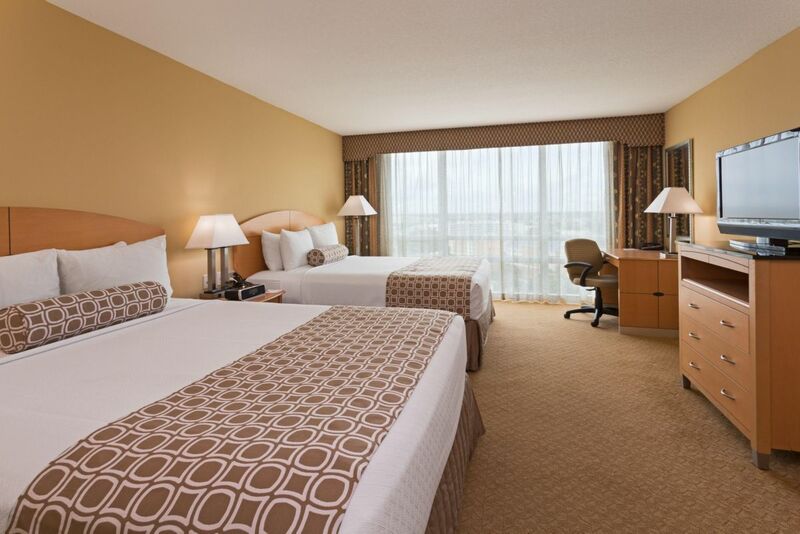 Guest rooms are well appointed and spacious. The headboards of the sumptuous beds are crafted of faux cèrused oak. Adjoining sitting rooms feature leather sofas, writing desks and large windows that overlooking the lake. Rooms have Wi-Fi and flat screen televisions. Room service and continental or full American breakfast is available, or you can visit the Lakeside Bar and Grill. There is a fitness center and outdoor pool for your use as well. Amenities: Here you’ll find a peaked turret and eight floors of Bavarian architecture surrounded by palm trees. An antler theme runs throughout the property including mounted antlers and a wall of antler fern in the garden bistro area, where you can enjoy their gourmet coffees and charcuterie menu or choose to visit the Antler’s Lounge for one of their signature Castle martinis. The lobby features antler chandeliers and chic mirrored walls, with tufted furniture to soften the look. Guest rooms are fitted with generously sized beds and comfortable sofas and chairs; all in the same tasteful, royal purple and gold color scheme that runs throughout the property. Of course, room service and Wi-Fi are available. Unwind in the circular outdoor pool, complete with cabanas and a lighted fountain, at a fitness center, or the Poseidon Spa. Reserve the Sky Terrace or Palace Ballroom for a wedding or convention. Amenities: At this award-winning hotel, enjoy the outdoor lighted pool and visit the Aqua Tiki Bar for a couple of drinks and some tapas, stroll through beautifully landscaped gardens, relax in the atrium or people-watch in the courtyard. The newly remodeled lobby features the upscale Elements restaurant, as well as a casual lounge with flat screen televisions. The rooms are spacious and attractive and feature pillow-top mattresses, a flat screen television, free Wi-Fi, turndown service, continental breakfast and in-room safes. 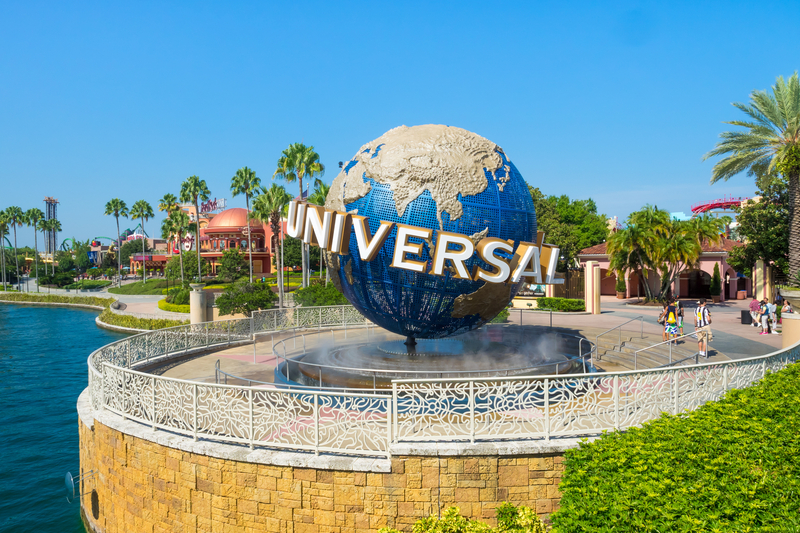 This hotel offers guests free shuttle rides to and from the nearby theme parks. Event rooms are available for meetings or weddings. Guests have access to the fitness room, laundry service, dry cleaning service, a video game arcade, concierge services and free Wi-Fi. Amenities: This modern hotel sits at the entrance to Universal. Streamlined furnishings and abstract art pieces throughout the property create an attractive and relaxing atmosphere. Transportation to local theme parks is free for guests. 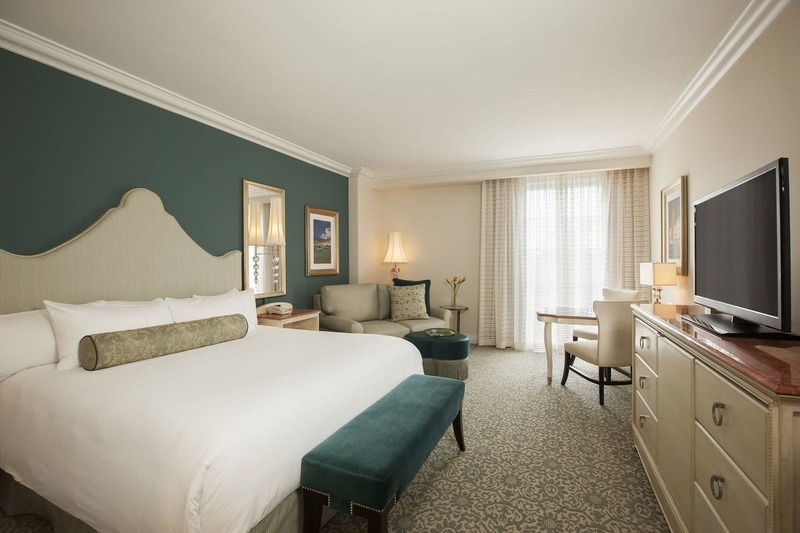 Large upscale rooms include Wi-Fi, 50-inch flat screen TVs with on-demand movie service, and room service. You can also enjoy a meal at the Sunshine Café, Angelo’s Pizza or the American Grill. There are two pools on the property and a gift shop for your shopping convenience. There are facilities for weddings and conventions as well as a catering staff for special events. 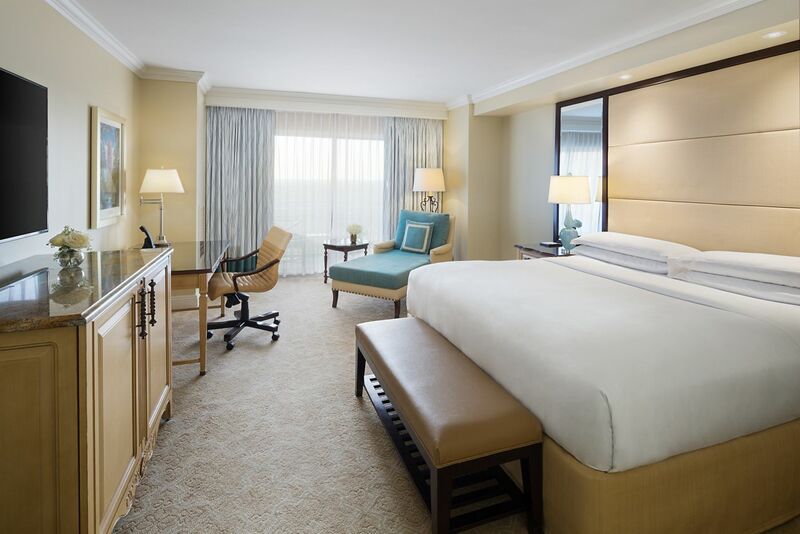 Amenities: In addition to the expected amenities of Wi-Fi, room service, shuttle service, comfortable rooms and big screen televisions, the Four Seasons claims to be a destination in its own right. With tennis courts, the Tranquilo Golf Course and a fitness center, you can keep up with your exercise, indulge in a soothing massage at The Spa, or relax in the adults-only infinity pool. Bringing the family? Spend the day at Explorer Island’s five-acre water park, featuring the Splash Zone and a lazy river. Sign up for Spanish tapas or Italian cooking classes. Visit the Ravello kitchen for breakfast with Goofy and friends Thursdays and Saturdays, featuring a breakfast omelet station with homemade bread and jam. Finish the day at the Capa rooftop steakhouse followed by an evening fireworks show and movies in the pool. 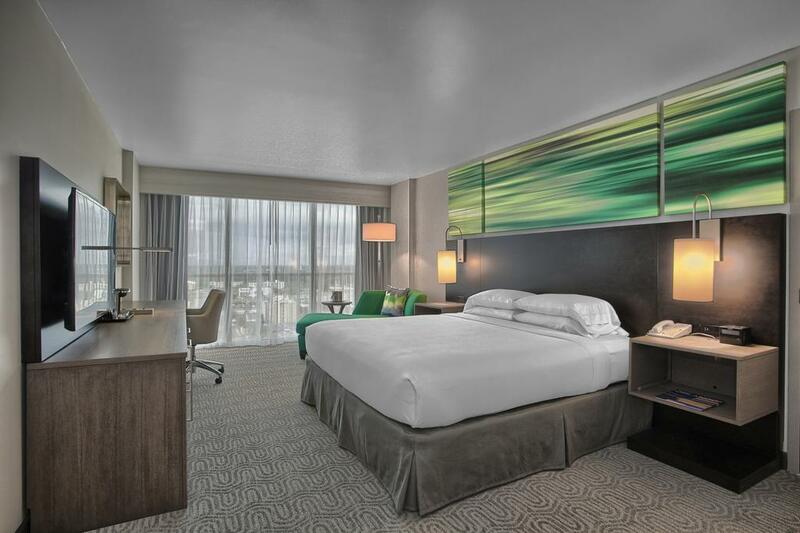 Amenities: Of course, luxuriously comfortable rooms with Wi-Fi, big screen televisions, available concierge, laundry and room service are standard at the Hyatt. But you can also enjoy an invigorating swim in the lagoon-style pool, complete with palm trees and a waterfall. 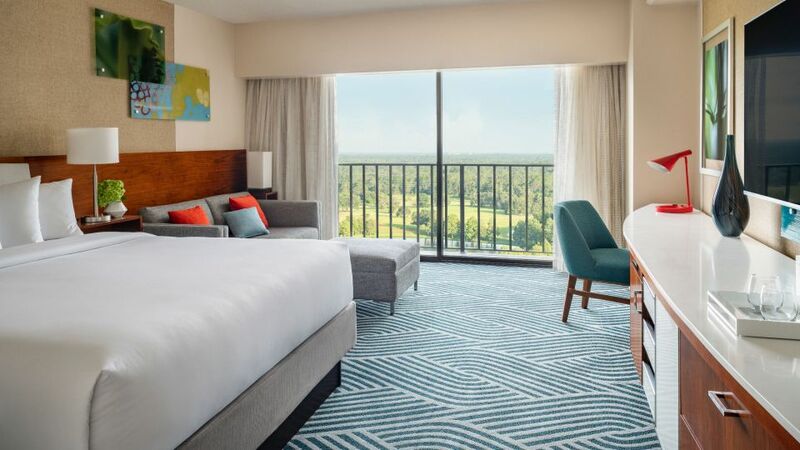 Or get your “love” on at the world-class Grand Cypress Tennis and Racquet Club, and up your game with lessons from world-renowned golf pros at the Jack Nicklaus Signature Design Golf Course. And don’t miss out on a treatment from the Production Crew at the Marilyn Monroe Spa, or the fun kid’s activities for the younger set. For a $30 daily resort service fee, you can have the use of bicycles or watercrafts, use the rock-climbing walls, participate in daily activities, access shuttle service to local theme parks and get two bottled waters per day. Amenities: This charming hotel was designed to look like an Italian Plaza complete with cobblestone streets and colorful, wrought iron trimmed stucco buildings that face onto a lake where you can rent watercraft or swim. There are three themed pools: the Roman aqueduct for instance. The kids will also enjoy the supervised activities each day. Ride an Italian scooter at the Harbor Piazza or listen to live music while you “ciao” down on icy gelatos. Get recharged at the Mandara Spa and fitness center or dine at one of eight restaurants or lounges. Elegantly decorated rooms or suites are available, with either a garden or bay view. 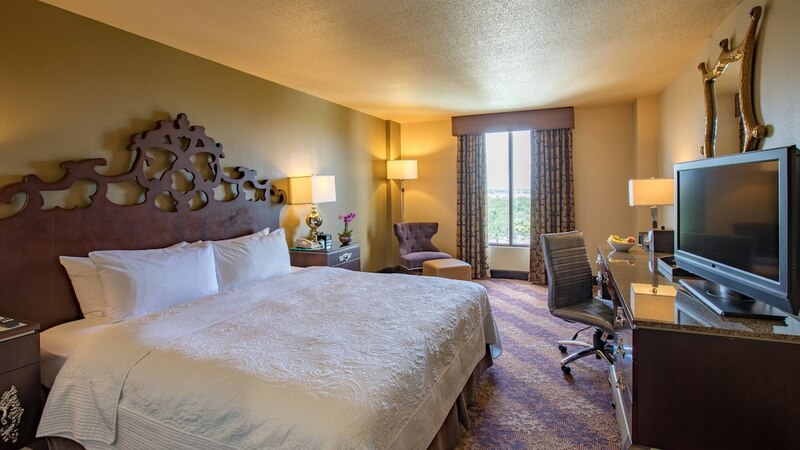 Rooms are spacious and feature Wi-Fi and large screen televisions. Suites offer the same amenities, and at up to 2,725 square feet, you’ll have room for the whole family to spread out. 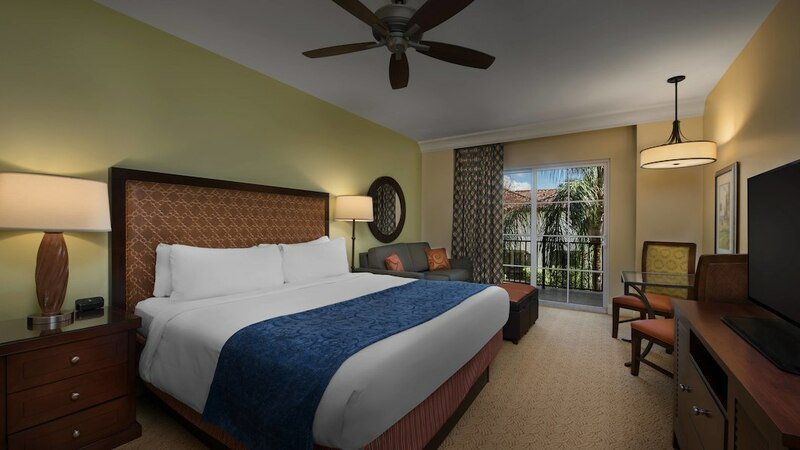 Rooms and suites both include exclusive theme park benefits. Amenities: 500 acres of stunningly landscaped grounds surround the Lakeshore Reserve, which is a vacation ownership retreat. These are villas, with from one to three bedrooms. The two or three-bedroom townhomes are set up with all the comforts of home, including a fully outfitted kitchen so you can cook your own meals. Stop in at Blossom’s Bar and Grill or take advantage of Lakeshore’s restaurant delivery service. The grand entrance to the property, as well as the lobbies, drip with casual luxury and modern Italian styling. There is a pool and fitness center on the property. Daily housekeeping, on-site laundry, valet dry-cleaning and car rentals are available. There is also a beauty shop and convenience store. 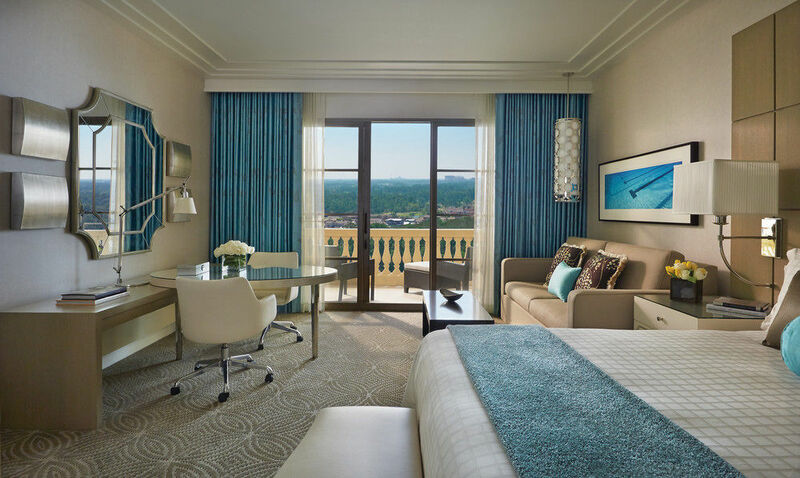 Amenities: The Ritz-Carlton offers three types of rooms with views of the gardens, the lake or the lakefront and golf course. Standard amenities are included. If nothing else brings you to this amazing property, the huge marble bathrooms just might tempt you. The lighted Jacuzzi soaking tub invites you to unwind. Or try a zero gravity massage at the award-winning Ritz-Carlton Spa, voted #1 Best Hotel Spa. There is also a barbershop and salon. In addition to room service, there are 11 different restaurants and lounges to choose from. The Ritz-Carlton grows their own garden and raises chickens onsite to supply the kitchens. The hotel is close to theme parks, but you can also enjoy the pool, 18-hole golf course, or join an Eco-tour. There are activities for the kids as well. Amenities: Enjoy fine dining at The Bull and Bear restaurant, including multi-course menu and gourmet chocolates, in addition to outstanding room service. Treat yourself to a massage or skin treatment using local honey at the Waldorf Astoria Spa, which includes a tea lounge and steam room. Tastefully decorated rooms include housekeeping twice each day, deeply comfortable beds, an Italian marble bath, shower and soaking tub, a robe and slippers, Wi-Fi, USB and Bluetooth speakers. Enjoy a round of golf (note: there is a dress code), take a lesson with a pro at the Bonnet Creek course or try a workout in the fitness center. Take advantage of the Kids Club, which offers activities, crafts and more while you get a little grown-up time alone. Swim or enjoy a private poolside cabana with your own attendants. Each of these luxury hotels near Universal Studios offers comfort, style and a few unique features. Prices vary greatly according to seasons and available deals, so we omitted that information from this guide. Staying at any of these hotels would be a memorable addition to the vacation of a lifetime.